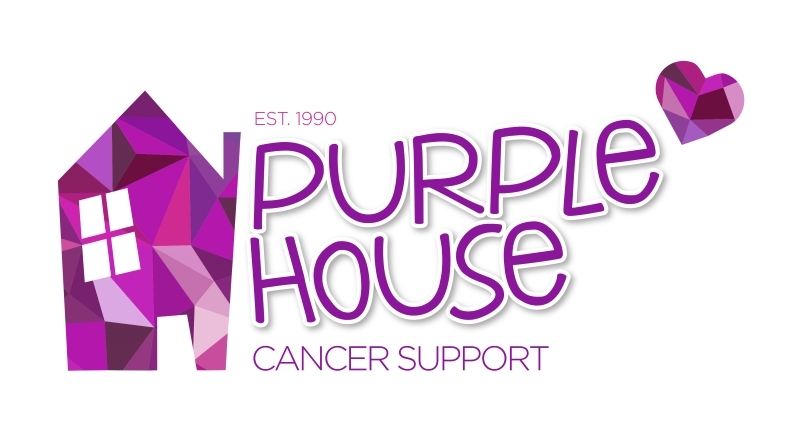 Purple House Cancer Support is a registered charity in Ireland (number 12589). We provide cancer support services and facilities free of charge to people of all ages affected by cancer in Ireland. The main hub of Purple House is our Cancer Support Centre which is based at Aubrey Court, Parnell Road, Bray, Co. Wicklow, with outreach Cancer Support Clinics in The Lexicon Library, Dun Laoghaire. Purple House has been in existence for over 28 years. From humble beginnings around a kitchen table in Bray in 1990, Purple House has grown from strength to strength. We now help people of all ages throughout Ireland. We provide practical help, emotional support, counselling, bereavement counselling, support groups, classes, workshops for children and complimentary therapies. We rely on fundraising & donations to fund our services on a daily basis and we thank all of our supporters for helping us to help so many people in Ireland. We work in partnership with the HSE, the medical profession, the Irish Cancer Society and other relevant agencies. We are independently governed and operated. We are not funded by any national cancer organisations. Like many voluntary organisations, Purple House would not be able to survive without the commitment and dedication of our team of staff, volunteers and supporters. We are also heavily indebted to the local communities in Ireland for their continued support. The cancer journey can be a difficult and painful experience, but it also can be an enlightening, learning process. If you need help along your journey, please call in and talk to us – we are here to support you.